At id Solar Solutions we strive to find a customer orientated solution to ensure you are getting the best out of our service. We are a growing enterprise with an innovative approach to increasing access to affordable solar technology within Zambia. As a business, we follow a clean environmentally friendly approach to maximise our positive social and environmental impact. 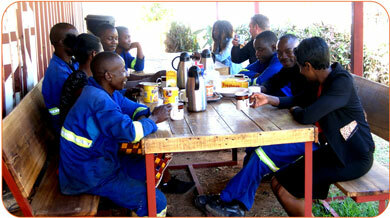 Within our organisation, we encourage a friendly and professional work environment. This supports our enterprise to deliver the highest quality of work from assembly in the workshop to our post installation customer service.